Western South Dakota is now one of the nonprofit organizations that Thrivent members can choose to direct their Choice Dollars toward. 4. Find the number of Choice Dollars available to direct. 5. Search for and locate Western South Dakota Senior Services, Inc.
3. A representative will work with you to direct Choice Dollars. Who is Eligible for Thrivent Choice? •Individuals with qualifying Thrivent benefits products such as life, disability income and long-term care insurance or annuities. •People holding a qualifying Thrivent volunteer leadership position. You can check to see if you are eligible for the Thrivent Choice program here. 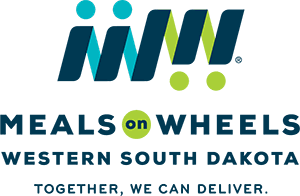 The 2017 Thrivent Choice deadline to direct dollars is March 31, so if you have Choice Dollars available to direct, please consider directing them to Western South Dakota Senior Services, Inc. Thrivent Choice grant funding will be used to support the delivery of nutritious meals to seniors and people with disabilities throughout the Western South Dakota. Click here for more information on the Thrivent Choice program.